ChartMogul’s Import API allows you to pipe billing data into ChartMogul from any billing system — even your own custom in-house solution. 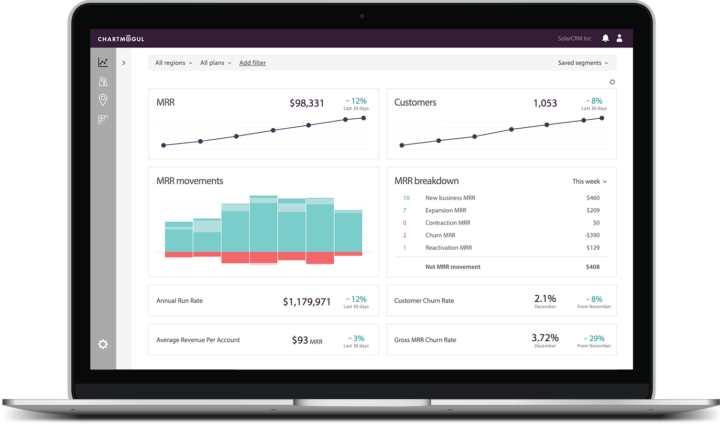 The concept for ChartMogul grew from an urge to solve an important problem facing subscription businesses: the need to calculate and track key SaaS and subscription metrics for use by the management team and board of directors. We started by making it easy for companies using Stripe, Braintree, Recurly, Chargify or PayPal to import their billing data, with our one-click integrations. But what if your company uses a different billing system or has built their own custom billing solution in-house? Today we’re launching a simple way for any subscription business to use ChartMogul — regardless of where your data sits. This furthers our vision for building ChartMogul as a flexible, open platform that acts as a central hub for helping recurring revenue businesses unlock the value in their data. 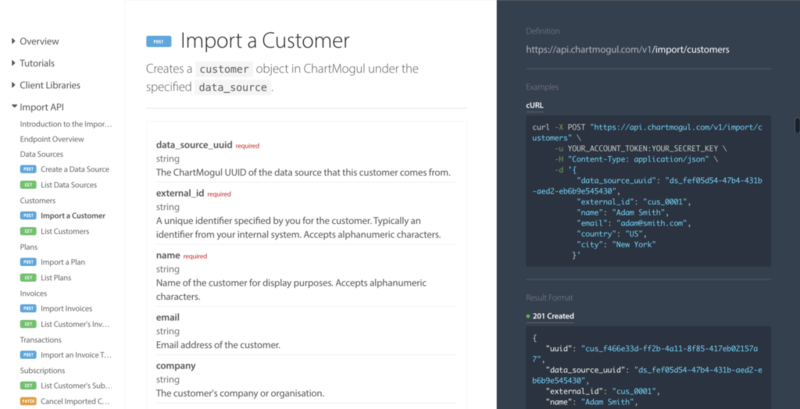 We’re really excited to officially launch the ChartMogul Import API. The Import API enables any subscription business to get the full benefits of ChartMogul regardless of what system they are using to bill their customers. Previously the only option if you weren’t using a supported billing platform was to upload a CSV file. However, there are some limitations to what can be done with CSV uploads. Once integrated with the Import API, any business or billing platform can securely push billing data to ChartMogul in real time, for use with features like Cohort Analysis, Segmentation and the full set of reporting features that over 700 businesses already use and love.